A groundbreaking and paradigm-shifting book, The Speed of Trust challenges our age-old assumption that trust is merely a soft, social virtue. Instead, it demonstrates that trust is a hard-edged, economic driver -- a learnable and measurable skill that makes organizations more profitable, people more promotable, and relationships more energizing. 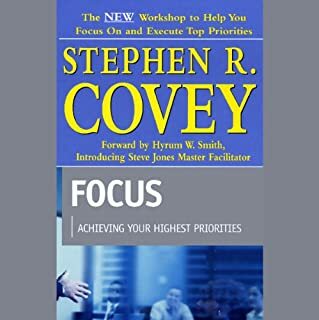 Written from his informed perspective as the former CEO of a $100 million enterprise, Covey draws on his pragmatic experience growing the Covey Leadership Center (founded by his father, Dr. Stephen R. Covey) from a shareholder value of less than $3 million to a value of more than $160 million. Covey articulates why trust has become the key leadership competency of the new global economy. He eloquently informs readers of how to inspire lasting trust in their personal and professional relationships, and in so doing to create unparalleled success and sustainable prosperity in every dimension of life. He shows business, government, and education leaders how to quickly and permanently gain the trust of clients, coworkers, partners, and constituents. 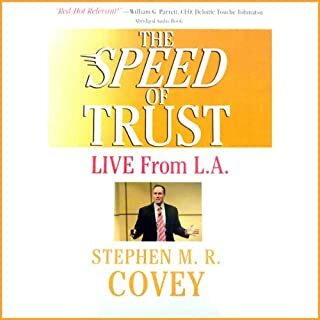 The author convincingly makes the case that trust is a measurable performance accelerator, and that when trust goes up, speed also goes up while cost comes down, producing what Covey calls a "trust dividend". This powerful new audiobook reveals the 13 behaviors common to high-trust leaders throughout the world and demonstrates actionable insights that will enable you to increase and inspire trust in your important relationships. ©2006 CoveyLink. All rights reserved (P)2006 Simon and Schuster Inc. All rights reserved. He ran the company his Dad founded (Covey Leadership Center) up until they merged with FranklinQuest. 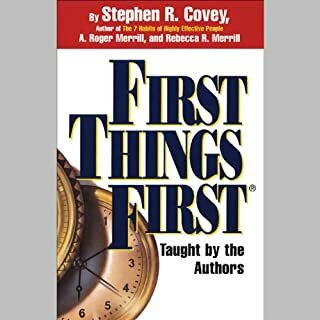 Now, in this book, Stephen M. R. Covey explores in greater depth the foundation of the character ethic so eloquently taught by his father: trust. 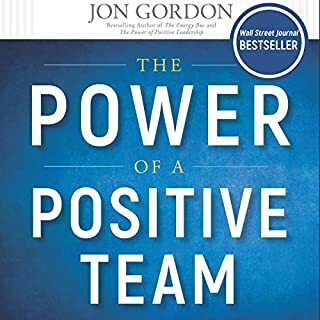 This book will give you new insights on how important trust really is, and just how much so many people and organizations have taken it for granted. If you could sum up The Speed of Trust in three words, what would they be? A must read for anyone who thinks their a leader. This book has me reflecting on all the relationships I have destroyed in my life and what I can do to make sure I don't cause more destruction in the future. It's going on my read once a year list. 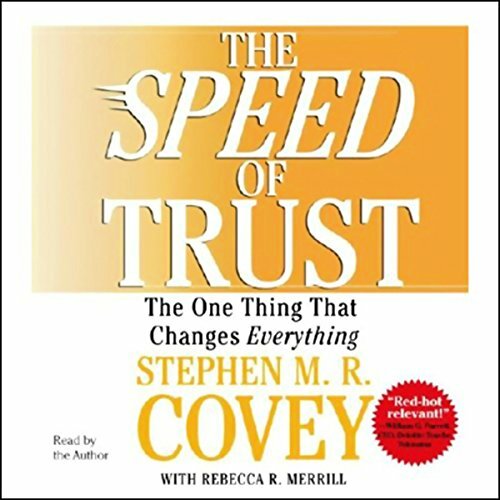 What other book might you compare The Speed of Trust to and why? 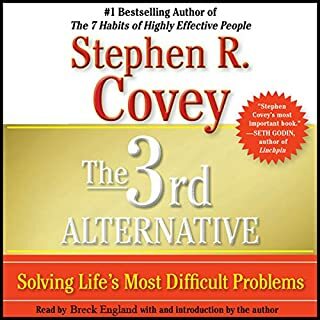 Have you listened to any of Stephen R. Covey’s other performances before? How does this one compare? NO WAY, too much to digest in one sitting. I would highly recommend this book to any leader who REALLY wants to be a better leader. I was very disappointed by how little the audio version covered. If I had time to sit around for hours reading a (free) web site, then I would do that. The whole reason I bought the audio book was so that I could listen to it (over and over again for years? ), while I did other things. The superficial paucity of information included in the Audible version was not worth $3.00, let alone more! Great book on the foundation of all human realtionships ...trust. To understand prosperity we need to understand how to build trust. Stephen M.R. 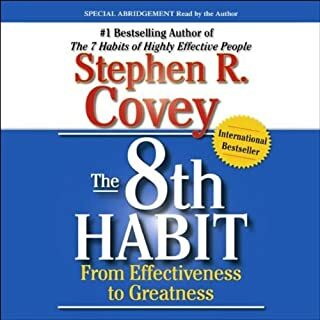 Covey has jumped on the field with this outstanding book and is making his own path in great books on leadership. This book really got me ... and now I am training my leaders on it. An excellent book. To the point, good information. Easy to follow, makes sense. Great Book! It definitely emphasizes the need for Trust! Well Nararrated! AWESOME story! Loved It! This audio wasn’t even close to covering the entire 324 pages of the book. Disappointed that I couldn’t hear the end book and it’s entirety. solid, practical advice often taken for granted in business.